ClipsShop self-piercing grommets sold by METALgrommets.com are produced using a special technique and are perfectly matched to work with precisely-designed premium quality stainless steel grommet setting attaching dies. This combination enables the grommet machine to pierce and set a grommet in a single action without pre-punching a hole. Traditional sheet metal grommets are thinner metal and require a hole to be made in the material before setting a grommet. This takes two steps - twice the time, twice the labor. Not all self-piercing grommets are the same and the differences are revealed when the project becomes more complex. ClipsShop grommets have a solid reputation for the highest self-piercing ability and are regarded as one of the top-quality brands worldwide. Self piercing metal grommets and sheet metal grommets are very different. Self piecing brass grommets are not designed to be applied with hand setters. Grommet sizes #5.5 and smaller are sold in bags of 500. Buy grommets #7.5 and larger in bags of 100. The prices include full sets of matching grommets/washers. We sell all sizes of ClipsShop grommets in antique brass, brass, chemical black oxide and nickel finish. Several popular sizes of grommets are also stocked in a white painted finish. The white painted grommets are tin coated brass and have a small surcharge as listed and come with tin washers. ► Some customers shared that they successfully attached ClipsShop grommets using a Micron, Stimpson or Hiker self-piercing grommet die & hand bench press. 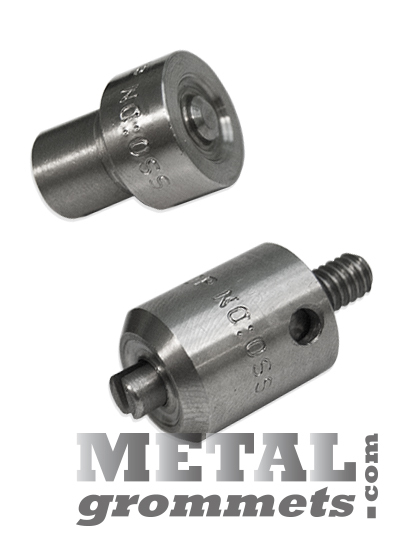 Individual results may vary based on grommet size, substrate, type & age of setting die. It is the responsibility of the user to test suitability. Open bags of grommets are not returnable. ► Manufacturing tools used to produce grommets are not all the same. 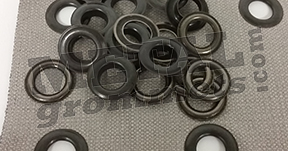 It is possible that grommets made by other manufacturers may not be the exact same size or shape and they may be called by a different name (ie. Most #0 grommets including ClipsShop grommets are 1/4 hole size. micron grommet mart refers to 1/4 hole size grommets as #1-J, NOT the same as #1 which is 5/16" ID. 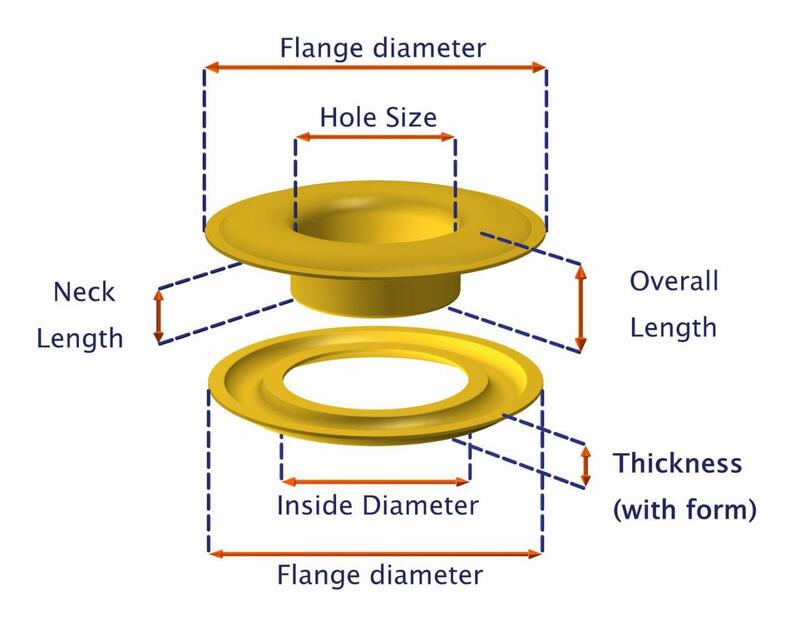 Before you buy grommets, verify the inside dimensions are correct for you, not just the name of the grommet. Order our European-made ClipsShop brand solid brass non-rusting grommets and washers below. 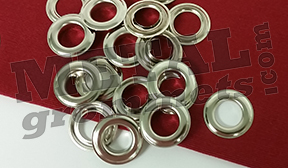 Click on any metal grommet size category to buy grommets in multiple color finishes available in that size of metal self-piercing grommet eyelets and washers shown. Buy grommets, use grommets, love grommets. They make holes strong and they add decorative accent and beauty to many projects.